Car-like handling and ride? Check. Truck-like cargo and towing? Check. SUV-like interior and versatility? Check. Add every cutting-edge driver assist and safety technology available and it becomes easy to see how the Ridgeline is arguably the most capable and comfortable truck ever produced. Ridgeline is not just a workhorse either. 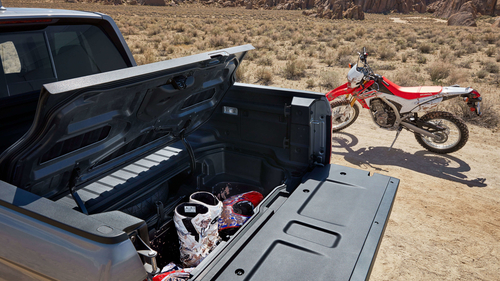 With industry-first and exclusive features that focus on making life easier and more fun like a Dual Action Tailgate that provides easy access to an In-Bed Trunk® that doubles as a cooler, and an available factory-installed Truck Bed Audio System. 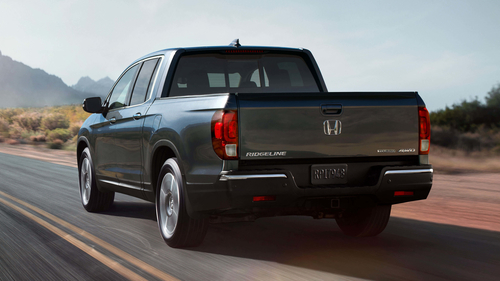 Ridgeline was named North American Truck of the Year and is the only pickup truck to earn a TOP SAFETY PICK+ rating from the Insurance Institute for Highway Safety. It also continues to receive class-leading EPA fuel economy ratings of 12.8/9.5/11.3 (City/Hwy/Combined for i-VTM4™ AWD models). The 2018 Ridgeline earned a best possible 5-Star Overall Vehicle Score from the National Highway Traffic Safety Administration (NHTSA) and continues to offer the comprehensive Honda Sensing® suite of advanced safety and driver-assistive features including Collision Mitigation Braking System™ (CMBS™) with Forward Collision Warning (FCW), Lane Keeping Assist System (LKAS), Road Departure Mitigation (RDM) with Lane Departure Warning (LDW), and Adaptive Cruise Control (ACC). Enjoy the largest and most flexible cabin in the midsize pickup truck class and class-leading cargo-hauling and towing capabilities of 1,584-pound (718.5 kg) payload capacity (varies by trim) and up to 5,000-pound (2,268 kg) towing. All Ridgelines incorporate a button-operated Intelligent Traction Management System that enables up to four different operating modes: Normal, Snow, Mud and Sand for the AWD models, as well as Normal and Snow for 2WD vehicles.